Pilates instruction was recently introduced as a new training initiative for competing teenage athletes. Pilates is a series of supervised exercises built on each week with emphasis on alignment, breathing, and developing a strong core (muscles of the abdomen, low back, and hips), leading to the benefit of improving coordination and balance. 15 of the Club’s top performing teenage athletes were offered a 6 week block of Pilates instruction in May-June this year. This pilot project was aimed at the secondary school athletes that had the most potential to do well in the upcoming Outdoor Track & Field season at both Club and school competitions. Although not all were available to attend a group of 10 took the opportunity to try it and learned new skills. Lisa Burns from Longford Fitness put them through their paces each week. The small group ensured individual attention to getting the controlled movements right. 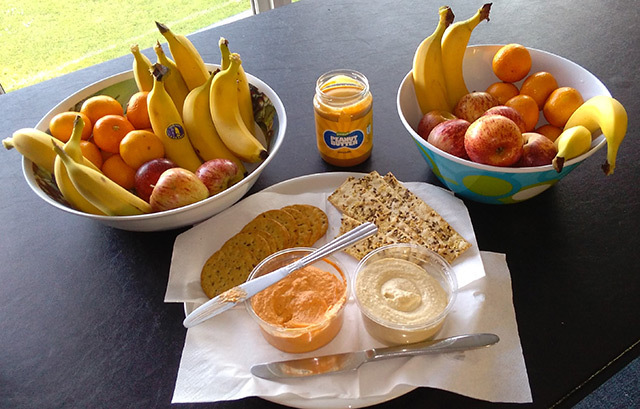 A booklet on Nutrition prepared by Coaching Ireland with emphasis on healthy choices for competition days and what to eat after exercise for recovery was given to each participant. 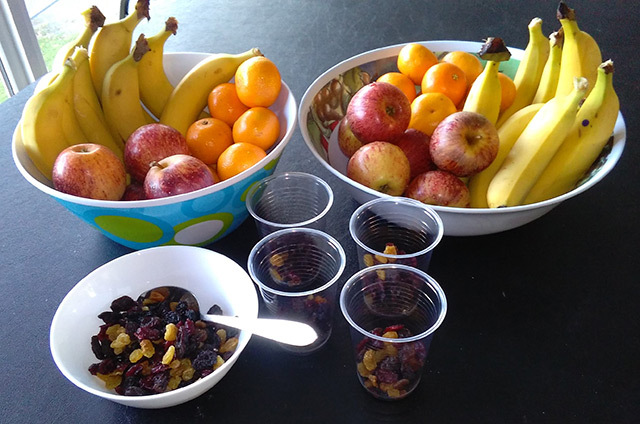 Every week healthy snacks were provided, giving the teenagers examples that they can easily do for themselves. The importance of hydration before and after exercise as well demonstrations of the correct techniques for using a foam roller were also part of the classes. The Club is undertaking a project through the Healthy Ireland Fund to promote athletics across the county and to introduce new skills and events to underage athletes. Financial support is gratefully acknowledged from Longford LCDC, Pobal, Healthy Ireland and the Department of Health.